As far as records go, Hot Space is far too harshly judged in the pages of history when compared to Queen’s other work. A strong rock band, Queen decided to embrace dance impulses on the 1982 LP, prompting something of a backlash in response. 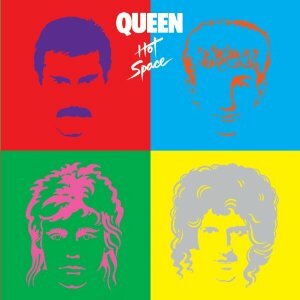 Newly remastered, Hot Space now comes with a bonus EP. It’s easy to see why people hold much of the record against the band though. The offering isn’t as strong overall as previous albums, though there are a few treasures along the way. “Body Language” highlights Freddie Mercury at his sultry, slinky best, while “Calling All Girls” has an engaging enough guitar line to draw the listener into the song. Of course, the major draw of this album is the David Bowie collaboration, “Under Pressure,” with its memorable bassline and climbing vocals that are as at-home on the radio today as they were two decades ago. If you already have this album, there’s no reason to invest in the latest release. The bonus material mostly consists of live tracks, with one b-side and one remix to offer. The quality is good, as Queen consistently offered in their performances, but there’s nothing here that could compel someone to buy this record who hadn’t previously.